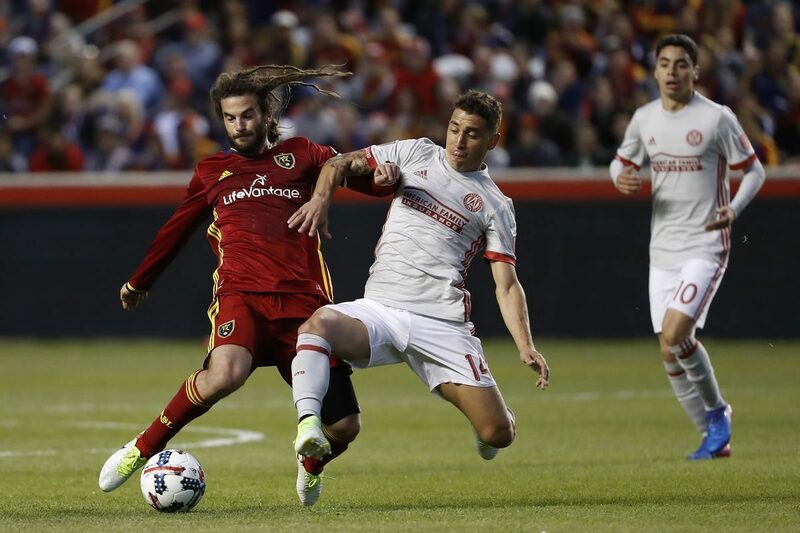 The officials of the MLS have recently been talking about the growth of Soccer in the United States and how they are trying to turn the sport into one that has more prominence for the country but this will be a task which is easier said than done taking into consideration some of the latest events that have happened. Toronto FC locked horns with Sporting Kansas and lost 1-2 but the result was not the shocker of the match, it was the referee Ted Unkel. A total of 8 yellow cards were displayed during the match including 1 red card with Matt Besler having to leave the pitch and leaving his team of Kansas City to play with only 10 men on the pitch. In tightly contested matches it’s fairly normal and frequent that so many yellow cards are shown to players but the actions of Ted Unkel throughout was what made him the talking point of the match. “It’s by no means an excuse, it was the same for both teams, but the referee was absolutely awful. The people at the MLS office in New York, when they talk about wanting to improve the league, the first thing that needs to be improved is the refereeing, bottom line. That shouldn’t come across as sour grapes because that’s just the reality. And it was bad for both teams and I’m sure they’re sitting in their locker room saying the same thing to themselves, but they’ve got three points with them and that certainly makes it a little easier to swallow. Refereeing is one of the hardest tasks you can do in Soccer as you have to make a decision in a matter of a few seconds without the help of technology or replays of any sort but if the MLS is going to become a prominent thing in the United States, this one of the elements that needs to be improved before anything else is accomplished.